I have had the rich privilege of serving the Church of God and the broader church for the last twenty-six years. There are simply no words that I can capture to express the joy I have received in doing this work of “improving financial security for servants of the church” through Servant Solutions. Over these years I have been privileged to intersect with countless church pastors and leaders, agencies of the Church of God, local church elders and boards, Christian higher education institutions, and many parachurch ministries. I have been enriched in ways so much greater than what I have given. Recently I informed our board of trustees of my plans to retire from full-time work with Servant Solutions at the end of 2019. In praying carefully over the past three years, I felt the Lord impressing me to prepare well, finish strong, and make way for new, vibrant leadership that can take us forward and higher in serving the church with continued excellence. Please know that, as I prepare for this transition, I am not tired or in any way discouraged. I actually have never been more excited for what the Lord is doing in the church and in our ministry at Servant Solutions. In fact, with every fiber in my being I plan to be the biggest cheerleader and supporter of the amazing staff that do the work day to day. Twenty-six years ago, Harold Conrad was my biggest supporter! He taught me how to love the church and a staff of dedicated servants. I now plan to do this for our staff and whoever is chosen to be the next president of Servant Solutions. The board of trustees of Servant Solutions has appointed a five-member search committee. They have been at work for several months preparing to reach out to the church at large. 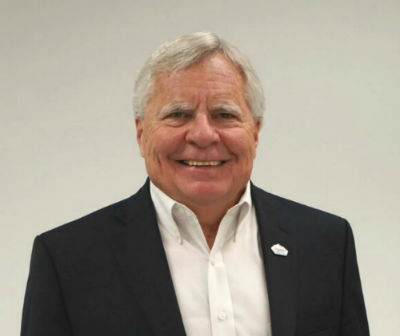 Soon a letter from our board chair, Merv Bennett, will go out to all constituencies within the Church of God inviting individuals to consider whether they or someone they know with the right gift mix, experience, and financial training may be a possible candidate. Please watch for this communication [see letter below], as it will contain a web link to information on the position of president and how one can ask to be considered. Please pray for the search committee, as well as persons who may feel compelled to enter this process of consideration. I want to thank you from the bottom of my heart for the honor I have been given to serve the church and the trust that you have placed in me. I feel blessed beyond measure and thank the Lord for his goodness to me and to my family. I always hearken back to Philippians 1:3 as Paul expresses gratitude to those he loves for the opportunity to partner in the gospel. I certainly feel that same deep love for each of you and this marvelous body of Christ we call the church. Thanks be to God. 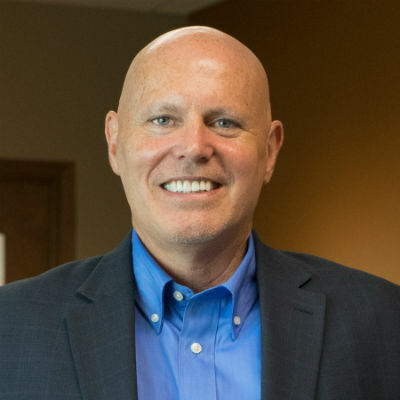 After twenty-six years of service, Jeff Jenness, the president of Servant Solutions, recently shared his plan to retire in the latter part of 2019. Selection of the new president is targeted for late spring of 2019, with employment beginning in late summer 2019 after ratification by the General Assembly at the June Convention of the Church of God. The Presidential Search Committee, appointed by the board of trustees of Servant Solutions, created a website with information regarding required qualifications and application information. Interested parties may visit the following link: https://www.servantsolutions.org/employment-opportunities. Servant Solutions is an endorsed agency of the Church of God serving ministers, parachurch workers, missionaries, lay workers, and Christian higher education faculty and staff. Servant Solutions has served thousands of church workers since 1949 by providing a retirement plan and financial education. Over its seventy-year history, Servant Solutions has been led by five presidents, all with a rich history in the Church of God. I invite interested persons to visit our website at www.servantsolutions.org to learn more about the ministry. This entry was posted in All Church of God and tagged accounting, application, apply, Board of Pensions, candidate, endorsed agencies, endorsed agency, finances, financial, financial planning, investment, Jeff Jenness, Merv Bennett, money, president, process, search, Servant Solutions, stewardship. Bookmark the permalink.